Regulators have quietly barred cryptocurrency developers from having access to a tax incentive aimed at spurring innovation in SA. It is likely to hinder the country’s chances of being at the forefront of the fledgling digital money market. 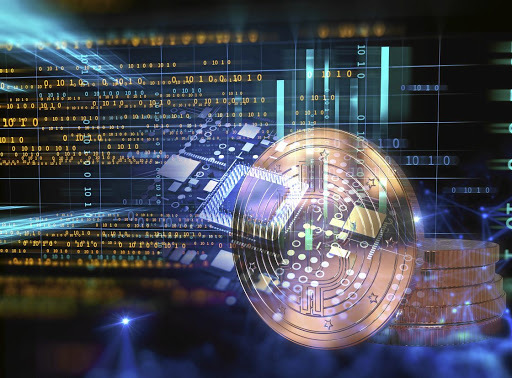 But some say SA has far bigger things to worry about: Africa’s most advanced economy appears uninterested in experimenting with blockchain, the technology that powers cryptocurrencies and is slated to have a bright future in almost every industry. Partly thanks to bitcoin’s torrid year in 2018 (prices slumped 72%), blockchain is starting to seize the limelight from the broader crypto market. In SA, that trend could be accelerated because authorities have sent the signal that they want no part in stimulating cryptocurrency innovation. Digital currencies have been categorised as “financial instruments” in the Taxation Laws Amendment Bill, which means start-ups, incubators and other companies that develop cryptocurrencies in SA can no longer claim a large income tax incentive, says Rob Hare, senior associate at law firm Bowmans. In that sense, SA could be shooting itself in the foot. It scuppered its chances of becoming a leading cryptocurrency innovator, a status that would help it attract sought-after technical skills and boost its endeavours to become a fintech hub for Africa. For that reason, Hare says it’s surprising that crypto developers have been snubbed by SA authorities, who have also offered no reasons for the move. “The supposedly small change of categorising cryptocurrency as a financial instrument is an unnecessary step in the wrong direction,” he says. Incidentally, SA has produced one of the best-known cryptocurrency developers in the world. Riccardo Spagni, who lives in Plettenberg Bay, is the lead developer of the Monero cryptocurrency — the 14th biggest by market capitalisation. But Monica Singer, the former Strate CEO who’s now ambassador for New York-based blockchain firm ConsenSys, believes SA’s regulators are being prudent — and rightly so. She says the National Treasury and the Reserve Bank are trying to ensure that SA is not seen as a tax haven for cryptocurrency developers, particularly in light of a spate of crypto-scams. “Imagine how crazy it’d be to give a tax incentive for a scam; that would be a disaster,” says Singer. On the other hand, she says blockchain — the decentralised public ledger system that records transactions and is largely tamper-proof — is an “ideal” technology for such concessions from the government. “The world is moving towards blockchain development in every industry,” she says.